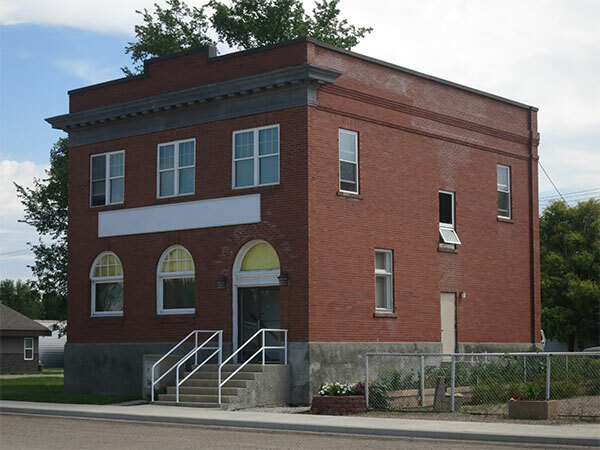 This two-storey brick building in Reston, in the Rural Municipality of Pipestone, was built in 1918 to replace a building destroyed by fire two years earlier. The main floor was occupied by a branch of the Bank of British North America (later the Bank of Montreal) with living quarters for bank employees on the second floor. This page was prepared by Ken Storie and Gordon Goldsborough.